By the time I was in my last three years of high school I made some of the weeknight meals. My parents had their own business and would get home just in time for dinner, my oldest sister was away at college, and my middle sister was going to college locally and rarely made it home in time for dinner. I enjoyed cooking, though, so it wasn't really a chore. Since I enjoyed cooking I decided to focus on it for my Girl Scout Gold Award project. I created a cookbook for a local food pantry. The cookbook was based on easy, inexpensive meals that used a lot of the staple ingredients at the food pantry. I sent letters out to family and friends asking for recipes and put together a decent cookbook. I still have a copy of it and use it mainly for the comfort food recipes. My comfort foods growing up were beef stew, macaroni and cheese, meatloaf, sloppy joes, and something we called goulash. Today I only really make the meatloaf and sloppy joes; a result of my changed food "philosophy" (I refuse to call it a diet.) It will be interesting to hear my son's comfort food selections years from now; if I had to guess they're Cuban-style black beans with brown rice, Curried Spinach and Chickpeas with basmati rice, and sloppy joes. 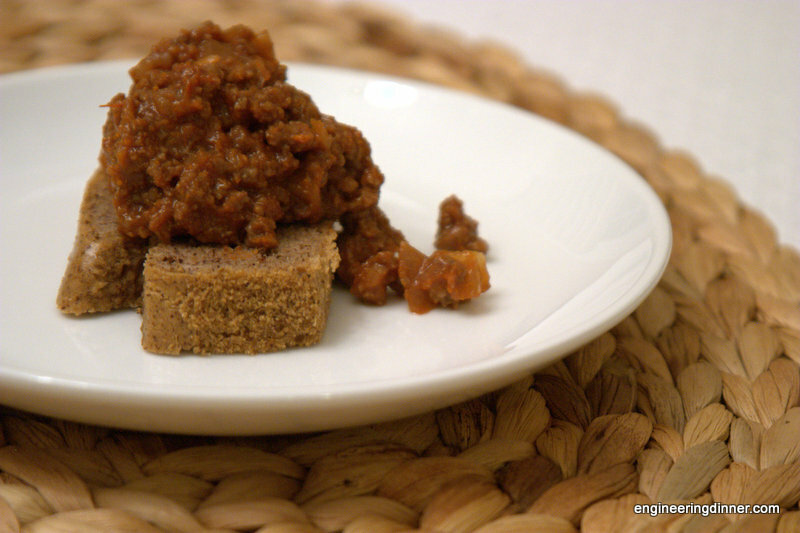 My family's sloppy joe recipe is delicious and easy. You can have it on the table in 20 to 25 minutes, or make it the night before and reheat it! I have no clue where it came from, but is likely a tweaked version from one of my mom's older cookbooks. Enjoy! Saute onion in oil over medium until translucent. (Skip this step if using Quorn or another vegan meat substitute.) Add meat to pan and brown. Drain excess liquid. Let it simmer for about 5 minutes then serve over your choice of bread. I typically reduce the heat to medium-low to keep it at a simmer. This recipe has been shared on Vegetarian Mamma's Gluten Free Fridays and The Daily Dietribe's 5 Ingredient Mondays. I just remembered that my husband and I once made 6 pounds of sloppy joes for a leader-daughter campout I was part of! We had to make it in 3 batches. I reheated it on a camp stove. It was such a hit I ended up having to email the recipe to several people. Watch out Manwich! I guess it's just a plain ol' joe! Couldn't agree with you more! Cold weather does mean comfort food! Here in Ohio its currently 66 and supposed to dip to 21 tonight! CRAZY! I"ll be wanting some comfort food tomorrow when its chilly! Thanks for sharing your recipe at 5-Ingredient Mondays! I've never made my own Sloppy Joe's but this recipe could convince me.